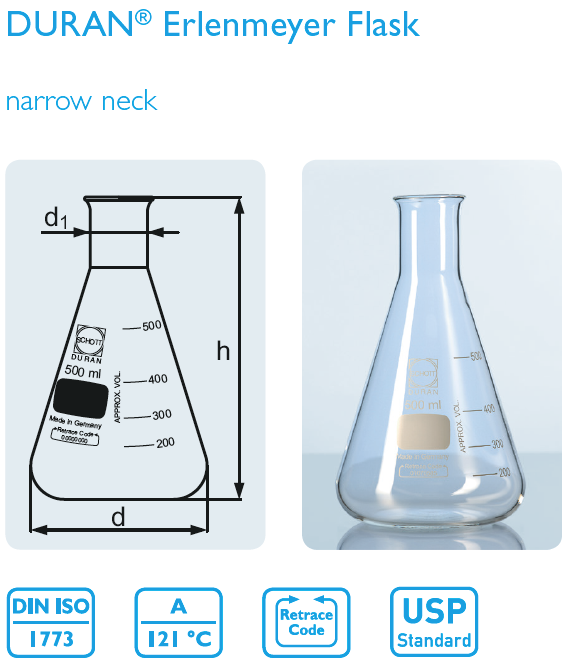 With beaded rim, ISO 1773, Uniform wall thickness distribution makes these flasks ideal for heating applications. The geometry permits very uniform heating. 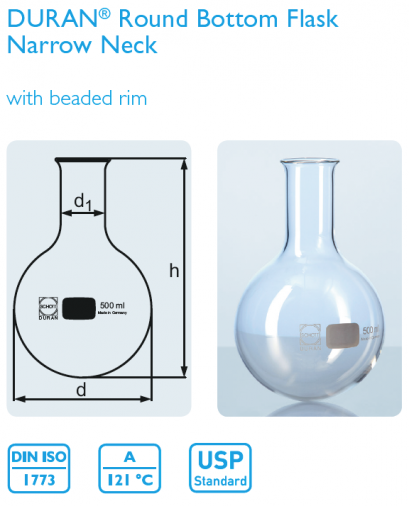 Flasks with a neck diameter of 65 mm or more have a reinforced rim.